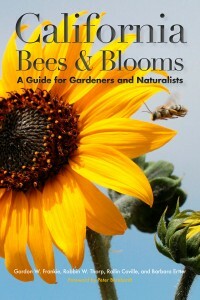 Co-authored by UC/JEPS Curator of Western North American Flora Barbara Ertter, California Bees and Blooms: A Guide for Gardeners and Naturalists by Gordon W. Frankie, Robbin W. Thorp, Rollin E. Coville, and Barbara Ertter will help readers discover and learn about California's bees. California Bees and Blooms holds a magnifying glass up to the twenty-two most common genera (and six species of cuckoo bees), describing each one's distinctive behaviors, social structures, flight season, preferred flowers, and enemies. Enhancing these descriptions are photographs of bees so finely detailed they capture pollen scattered across gauzy wings and iridescent exoskeletons. Available from Heyday Press. The second edition of The Jepson Manual thoroughly updates this acclaimed work, the single most comprehensive resource on California's amazingly diverse flora. The Jepson Manual, second edition, integrates the latest science with the results of intensive fieldwork, institutional collaboration, and efforts of hundreds of contributing authors into an essential reference on California's native and naturalized vascular plants. Available now from UC Press. UC/JEPS Curator of Western North American Flora Barbara Ertter and restoration ecologist, botanist, and photographer Lech Naumovich have published a new edition of the Annotated Checklist of the East Bay Flora, incorporating a wealth of new information. Available now from the California Native Plant Society. 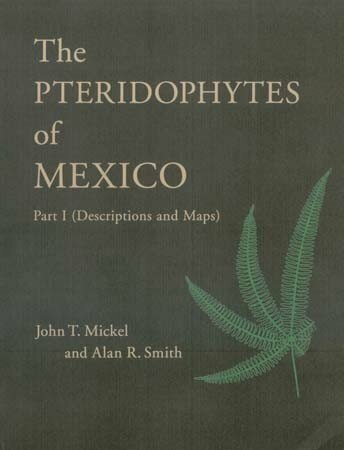 Co-authored by UC/JEPS Curator of Pteridophytes Alan R. Smith, this is the first modern, comprehensive fern flora for Mexico and one of the few fully illustrated fern floras for any tropical country. Available now from New York Botanical Garden Press. (From MBG Press): Tarweeds and silverswords of the Madiinae represent singular examples of adaptive radiation and speciation: they show us plants evolving first to meet the diverse environments of the California Floristic Province, and colonizing later the islands of Hawaii. This book introduces the student to the Madiinae. Included are the phylogeny and taxonomy of the Madiinae and modern analysis of their macro- and micro-evolution as well as molecular investigations. Also profiled are their anatomies of leaf and wood. Available now from Missouri Botanical Garden Press. Constancea is a free online scientific journal sponsored by the University and Jepson Herbaria and UC Press. 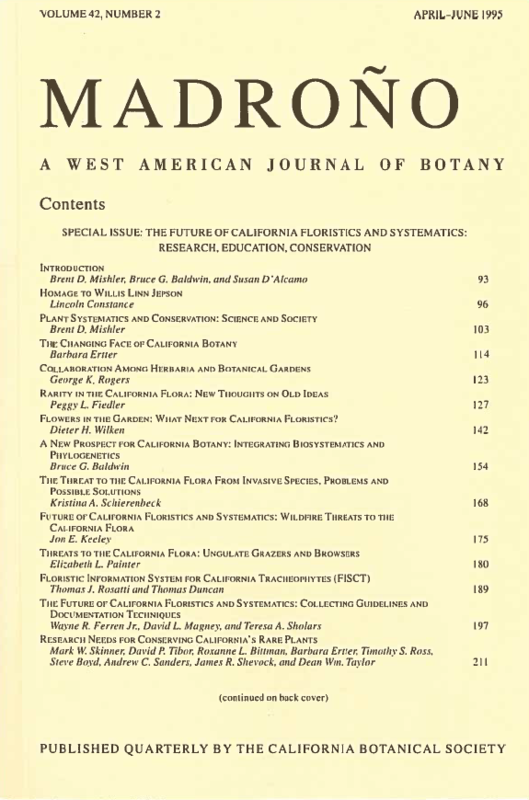 It is an online continuation of University of California Publications in Botany, which ran from 1902-2002). Available online. In the spirit of the avid desert botanist Willis Linn Jepson, The Jepson Desert Manual provides botanical enthusiasts of all backgrounds with the first comprehensive field guide focused exclusively on native and naturalized vascular plants of California's southeastern deserts. Based on The Jepson Manual: Higher Plants of California, the Desert Manual incorporates new illustrations for more than two hundred desert taxa, revised keys to identification, updated distributional information, and 128 color photographs. This guide will allow easier identification of California's fascinating desert plants than would be possible in a manual with broader geographic coverage. Available now from UC Press. "This magnificent revision of Mary Bowerman's masterpiece lives up to the unsurpassed standards of her now-classic original and brings a tremendous wealth of new information about Mt. Diablo and its spectacular flora into sharp focus. All of the outstanding qualities of the 1944 edition are preserved here and are richly embellished with a thorough, up-to-date, floristic and ecological reassessment based on extensive field and herbaria research. The results of these renewed efforts are impressive, with the addition of more than 200 native and naturalized plant species. Perspectives on the physical environment, vegetation, and flora of Mt. 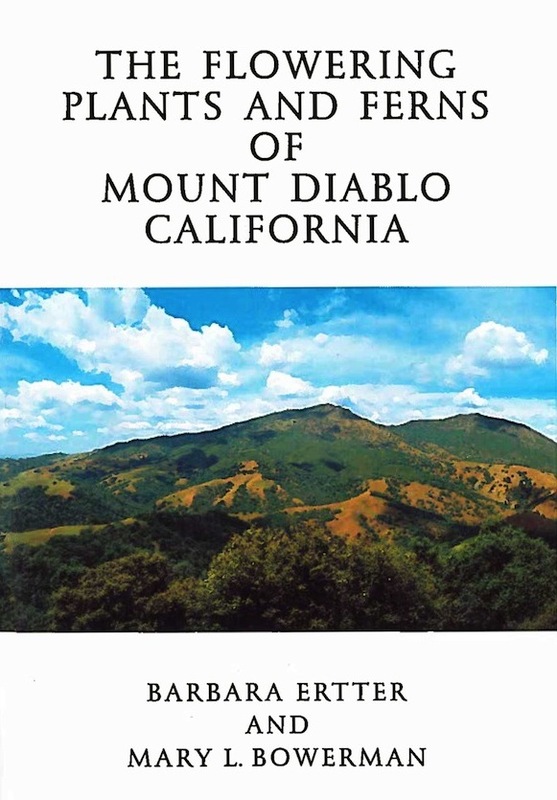 Diablo spanning over half a century of direct investigation provide a fascinating, invaluable account of environmental change on the mountain and of progress in scientific understanding of its rocks, soils, and plants. Anyone with an interest in the natural history of California will not want to be without this book." Available now from the California Native Plant Society. Proceedings from The Jepson Herbarium 50th anniversary celebration and scientific symposium: Discovery, communication, and conservation of plant biodiversity in California June 16-18, 2000. A special issue of Madroño Volume 47, Number 4. Madroño is a quarterly scientific journal of West American botany, published by the California Botanical Society. Available for order from the California Botanical Society. 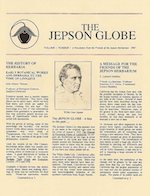 The Jepson Globe is a semiannual newsletter published for the Friends of the Jepson Herbarium. Hard copies are distributed to the Friends, then issues are posted online one year after publication. Visit the Jepson Globe index for issues from 2003 to last year, or Join the Friends of the Jepson Herbarium to receive current issues as they are published. 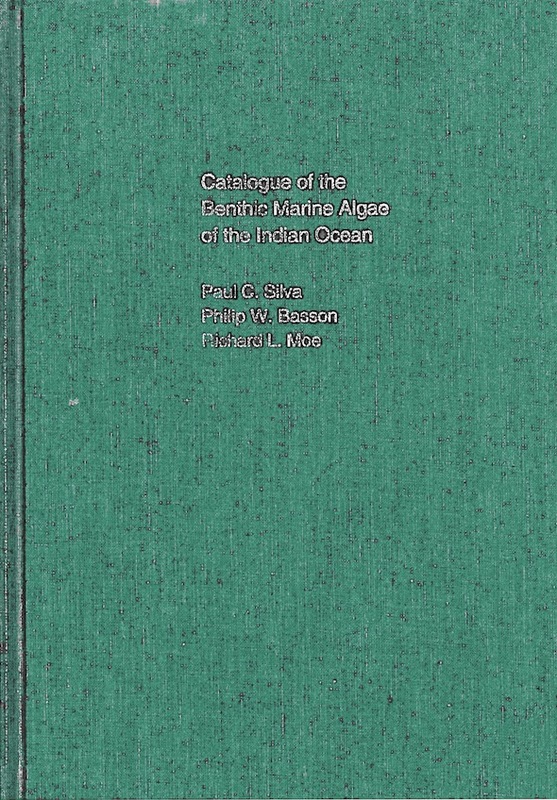 All published records of species and infraspecific taxa of benthic marine algae from the Indian Ocean excluding the Red Sea are assembled in a catalogue. A history of Indian Ocean phycology precedes the systematic part of the catalogue, and extensive nomenclatural notes by P.C. Silva on various taxa are included in an appendix. Online version now available. Madroño, Volume 42, Number 2. A special issue with contributions from many UC/JEPS researchers and staff. Madroño is a quarterly scientific journal of West American botany, published by the California Botanical Society. Available for order from the California Botanical Society. The Flora was published by the Jepson Herbarium in a multi-volume series beginning in 1909 and continuing steadily through 1940. 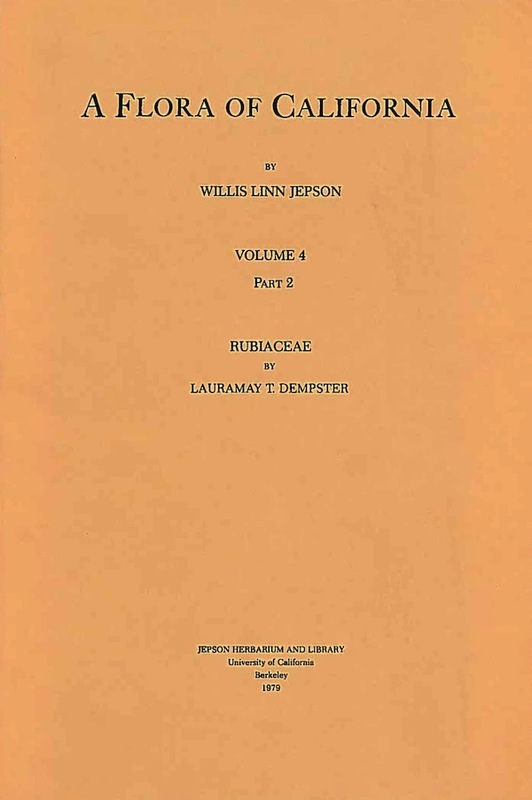 Work on the Flora slowed after Jepson's death in 1946, with Volume 4 Part 2 by Lauramay T. Dempster, appearing in 1979 after a long hiatus. The Flora contains exceptionally detailed taxonomic treatments and original line drawings; for many taxa in California, the Flora contains the most comprehensive description of morphological characteristics, habitats, and ecology available. Unfortunately, this great work was never completed and is now out-of-print, although there are a limited number of full sets still available through the Jepson Herbarium. 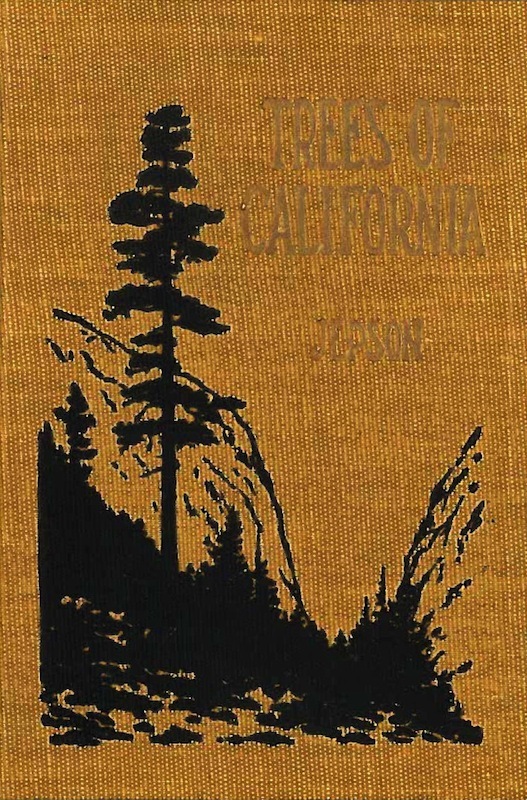 Jepson's account of the trees of California includes several papers on trees and forestry followed by a systematic treatment of the trees of the State, including thorough notes and features. This volume is out of print but limited copies are still available through the Jepson Herbarium.